ST. GEORGE — During a regular meeting of the Washington County School Board of Education Tuesday, the board unanimously voted to adopt a proposed $330 million total budget for the 2017-2018 fiscal year. The board also adopted the final budget for the 2016-2017 fiscal year. The maintenance and operations budget, district administrator Brent Bills said, was previously proposed at approximately $211 million and has gone down about $750,000. 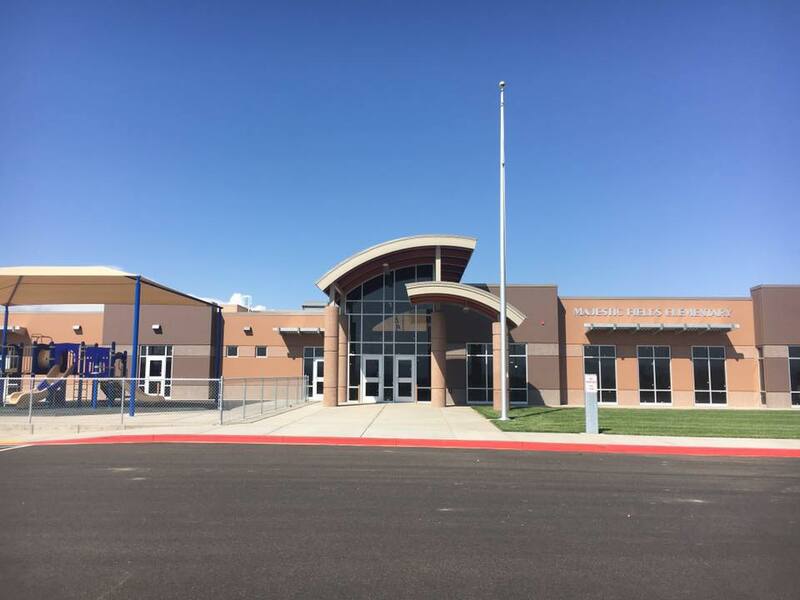 This year’s total budget includes the issuance of $55 million in bonds to build three new schools: Crimson Cliffs High School (set to open 2019), Crimson Cliffs Middle School (set to open 2018), located south of the Treasure Valley subdivision in Washington (south of 4200 South); and a yet to be named intermediate school in the Little Valley area. 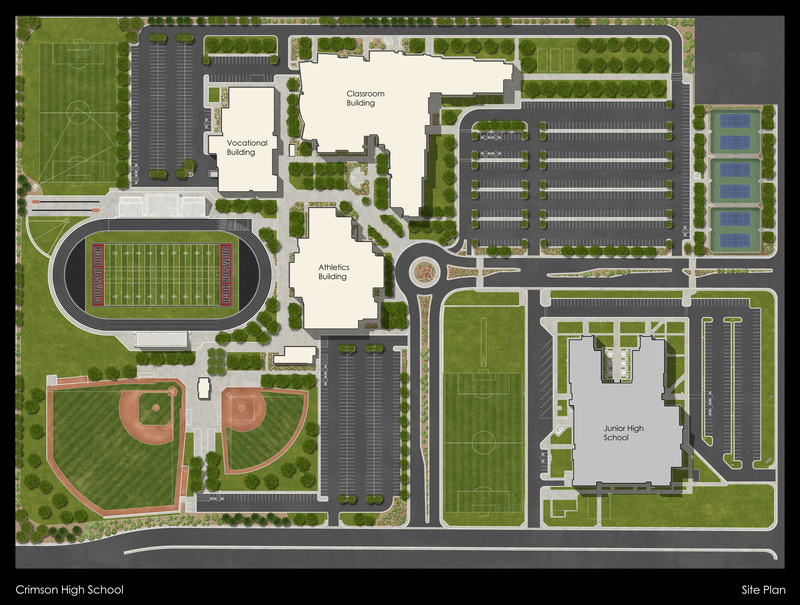 The three secondary schools will join the newly built Majestic Fields Elementary, 675 East Majestic Drive, Washington, set to open in the fall, to create a new cone site – schools grouped together under a particular high school – in the district. Construction of the new facilities constitutes a large chunk of the increased budget, Bills said, a necessary expenditure to keep up with the growth in Washington County and by extension in the school district. Bonding for the new schools was previously approved by voters. In a previous school board meeting, Superintendent Larry Bergeson said the school district has seen growth recently that mirrors the kind of numbers it saw in the late 1990s and early 2000s before the economic downturn began in 2008. Though accommodating a rapidly growing student population is not without its difficulties – school boundary changes and expensive construction among them – overall Washington County’s growth has proved to be a good thing for the school district and the taxpayers. Because of all the additional homes and new businesses, the school board will not be asking for a property tax increase for the 2017-2018 school year, Bills said. This is a very different story from two years ago when in an August 2015 public Truth-in-Taxation hearing the board approved a 3 percent property tax increase. At the time it was the second increase in Washington County property taxes for school district purposes in two years. Because the board was not asking for a tax increase this year they did not have to hold a Truth-in-Taxation hearing, Bills said. Another uptick in the budget was the approval of the negotiated agreement which adopts a new salary schedule for teachers. Beginning in the 2017-2018 school year all teachers will be moved over to a new salary schedule, Bills said. The new salary schedule will guarantee teachers a minimum of a 6.6 percent pay increase over the 2016-2017 school year and raise the base salary for teachers entering the district to $40,000. In addition to a pay raise, the new salary schedule removes a previous cap placed on earnings which will allow teachers to have more upward mobility and help toward their retirement. The increased teacher pay is, in part, a response to a statewide teacher shortage. As school districts across the state begin to feel the shortage there is an increased need to address teacher acquisition and retention. Along with the new salary schedule the board also approved a proposed $2,000 sign-on bonus for new teacher hires to be paid in two payments; $1,000 for the first year of teaching and $1,000 for the second year to help entice teachers to the school district and to keep them here. Bills said during the school board meeting that there are at least an elementary school’s worth of teacher positions that need to be filled and several others at the secondary level. In other business, the school board approved an amount of money to be capped at $215,000 to go toward the development of tennis courts which will be located at the Enterprise City Park. The city will, in turn, develop a soccer field and both facilities will be available for the use of Enterprise schools for their sports programs. The agreement was seen as a win-win by the board for both entities as it will act as a wonderful hub for the community of Enterprise and provide much needed facilities, especially for Enterprise High School. This $215,000 for tennis courts is in addition to $200,000 appropriated for the park by Washington County – funding that comes from tourism and recreation taxes. Washington County School District: Website | Final budget for fiscal year 2016-2017 and proposed budget for fiscal year 2017-2018: View here. St. George News reporter Julie Applegate contributed to this report. Give it a year or two it’ll be a billion. When you’re spending other people’s money it makes no difference to them. This is an example of a Slippery Slope fallacy. And just out of curiosity, what kind of future do you want to see for the youth of America? In that future, can kids have access to a doctor, libraries, clean water, and safe infrastructure? Or do you still imagine teachers living near the poverty line if they dare ask for decent health insurance? What evidence do you claim that supports such an undignified society? I know more about how this school district is run than I’d like to, because the amount of waste and obscene salaries to overpaid administrators is off-puting to say the least. Most of it is public record, not hard to find, go have a look. The last thing they need is more tax increases, but they push for them anyway. New tax revenue from growth should more than cover it, so greed is the only explanation. Diablo’s comment down there is right on mark. Greed? Are you certain of this? Bunches of elementary school teachers ready to throw Benjamins at the Lexus dealership and golf course? You’ve met these greedy socialists? Hasty generalization. dead silence from the clown circus up there. I bet I can guess who pays your salary, buddy. Hope it’s more than a teacher’s, cuz they aint makin’ bank. The cheap greedy bastards save the big bucks for paper pushers and admins, all or at least most of them part of the LDS club I’m sure. It aint lack of cash; it’s just how it’s spread around. You clowns can’t fool the public forever. When you’re dead, all the kids in Washington county will remember you as “That Guy who Didn’t Want His Property Taxes to Help Fund Education.” You’ll be remembered as a hero in the community.